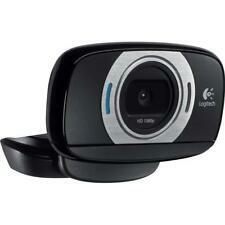 Logitech HD Pro C920 Web Cam 1080p - New No Box - Black. Shipped with USPS Priority Mail. This is a 3D printed Privacy cover for a c920 / C922 / C930e series webcams it easily snap fits over the top of the cam and then the little flap can be lifted up and down as required! Logitech C910 HD 1080p Carl Zeiss Tessar Tripod Compatible Free Shipping. Condition is Used. Shipped with USPS First Class Package. Intel RealSense D415 Camera 1920x1080 RGB 1280 x 720 Depth Engineering Sample. Condition is Used. Shipped with USPS First Class Package. Item was only used a few times. Brand New Logitech BRIO Ultra HD Webcam *Still Sealed*. Condition is New. Shipped with USPS Priority Mail. Logitech C922 Pro Stream HD Webcam - Black - (960-001087). Condition is Used. Shipped with USPS Priority Mail. Works great! Never really used it. 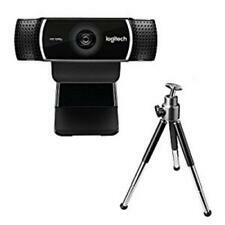 Logitech C930e 1080P HD Video Webcam - 90-Degree Extended View, Microsoft Lync 2013 and Skype Certified. Form Factor. Condition LIKE NEW. Logitech C922X Pro Stream Webcam - (960-001176). This is the adapter needed to connect the racing pedals to the USB. Ideal for hobby, school and work. CMOS sensor, resolution 1920 x 1080 (Full HD). Resolution 1920 x 1080 Pixel, Full HD. UVC standard. Included adapters: 30mm; 30,5mm; 31,7mm (1,25"). Adapters 30mm, 30,5mm, 31,7mm (31,7mm with locking screw). Logitech C1000e BRIO 4K Webcam Wide Angle Ultra HD 1080p Video Conferencing $169.00 ---SPECTACULAR VIDEO QUALITY: A premium glass lens, 4K image sensor, high dynamic range (HDR), and autofocus deliver beautiful, true-to-life video ---LOOK GREAT IN ANY LIGHT: RightLight 3 automatically adjusts exposure and contrast to compensate for glare and backlighting. Supports multiple connection types, including USB 2.0 Type A and USB 3.0 Type A and C connections ---4K Streaming and recording- Windows: works with camera for Windows 10, XSplit, OBS. Mac: works with SwiftCapture . WINDOWS HELLO CERTIFIED: Powered by both optical and infrared sensors, BRIO delivers fast and secure facial recognition for Windows Hello. MINURO 3D Webcam Dual Lens USB 2.0 3D Photos & Videos W/ 5 PR. 3D GLASSES! MINURO 3D Webcam Dual Lens USB 2.0 3D Photos & Videos W/ 5 PR. 3D GLASSES! Minoru Dual Lens 3D Webcam. 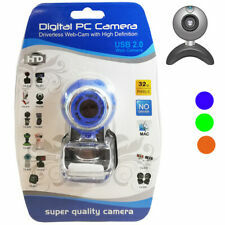 High Speed USB 2.0 3D Webcam. Works as a normal webcam as well. Takes 3D photos or even shoot 3D videos. BUY 2 GET 1 FREE - FAST USA SELLER - SHIPPED SAME DAY! Microsoft ® Windows ® 8.1 update (64 bit). 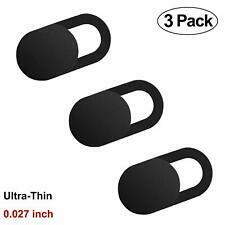 Cover your webcam and protect your privacy with this ultra thin. almost invisible webcam cover! Simply stick to the device of your choice. Self adhesive. Logitech C925e Webcam. Integrated privacy shade. One USB 2.0 port. Hi-speed USB 2.0 certified (USB 3.0 ready). SUSE Linux® 11 SP2 (for Cisco® VXC6215). 2 omni-directional mics. macOS 10.7 or higher. Windows® 7 or higher. You are looking at a New Factory Sealed Razer Kiyo Broadcasting Camera with Illumination. Box shows some shelf wear Adjustable Ring Light - Removes harsh shadows and maintains an even light source at all times High FPS HD Video - 720p 60fps/1080p 30fps Plug and Play - Compatible with popular platforms like Open Broadcaster Software and XSplit Advanced Autofocus Feature - Fast and accurate to keep you in focus Compact and Portable - Perfect for on-the-go streamers and content creators Bid with confidence, check our feedback and know that we guarantee customer satisfaction by offering a full refund if you are not happy with your purchase. Restock fee may apply. Manufacturer - Cisco. Bargain price at just £69.95. 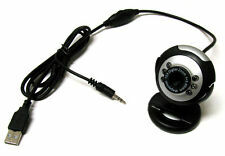 Microsoft LifeCam H5D-00012 Cinema HD Webcams This item is new as shown. If you're not sure, ask and we'll let you know. This warranty covers the unit for any manufacturer defects. WE ARE NOT ABLE TO STOP AN ORDER ONCE IT'S PLACED! Warranty & Support. 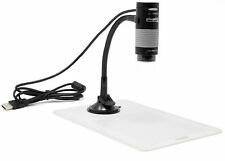 The Credential Cam makes capturing photos for your ID cards quick and easy. Credential Cam Features Manual focus and auto exposure with bright light technology. Full HD 2MP image capture resolution - up to 8MP by interpolation. Cover your webcam and protect your privacy with this ultra thin, almost invisible webcam cover! 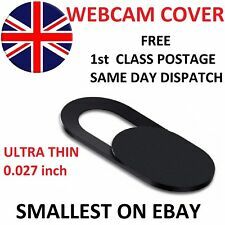 WEBCAM COVER - THIN SLIDING COVER FOR YOUR CAM. Webcam cover. Simply stick to the device of your choice. Polished, Full HD video calls. You'll make a strong impression when it counts with crisp, clearly detailed and vibrantly colored video. The C920 automatically fine-tunes to the lighting conditions to produce bright, razor-sharp images even if you're in a low-light setting. Up for action is a Conference Cam Connect. Logitech, C920 HD Pro Webcam Full HD 1080p Video Calling Recording Gaming Stream. Condition is New. Dispatched with Other Courier (3 to 5 days). Lecteur MP4 Lenco. - Ecran 6 cm (2,4") TFT tactile. - Lit les fichers audio MP3, WMA, APE, FLAC, OGG & WAV. - Autonomie env. 3 heures en mode vidéo, env. 8 heures en mode MP3. Caractéristiques Techniques. WE ARE NOT ABLE TO STOP AN ORDER ONCE IT'S PLACED! This warranty covers the unit for any manufacturer defects. Warranty & Support.